My husband and I have been on a burger kick lately…which can be quite unhealthy if done incorrectly. 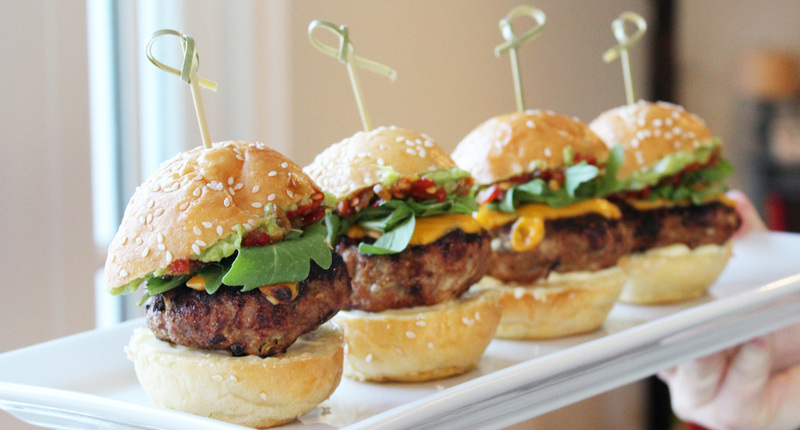 But, we have been trying to spice it up with different variations of turkey burgers. (Well, we did hit up Ted’s the other week….but that’s another story). 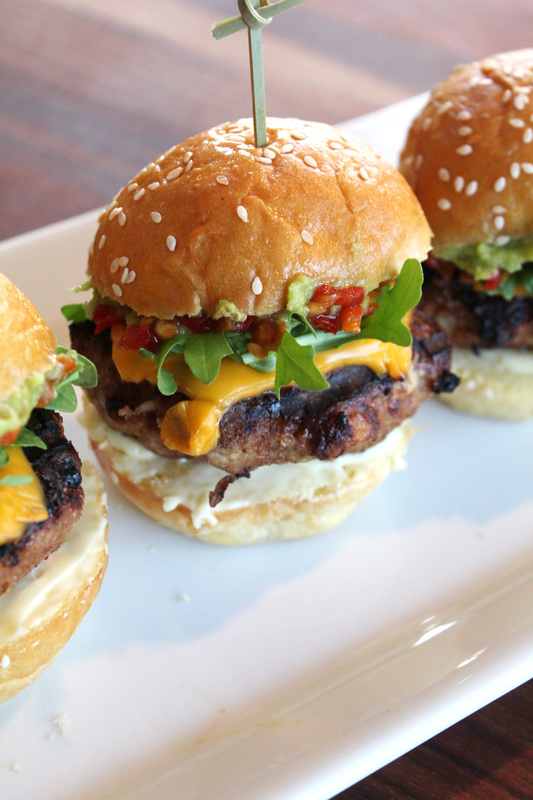 These loaded Turkey Burger Sliders were devoured in minutes. 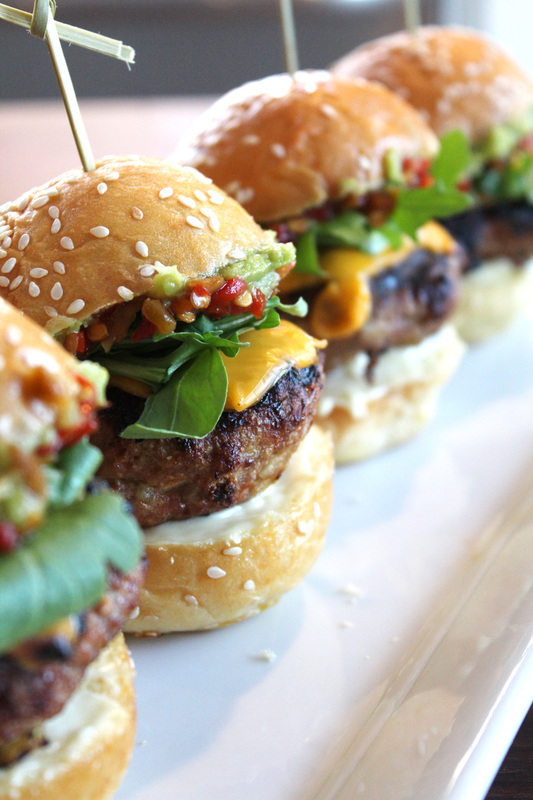 From the avocado mayo, to the flavorful patties, and the hot pepper relish for a little heat. Mmmm! 1. Fire up the grill! 2. In a large mixing bowl, mix together the ground turkey, minced onion, white pepper, garlic powder, egg, pinch of salt, olive oil, corn meal and worcestershire sauce. 3. Form 7 round, 2.5 inch patties using your hands. Place them on the grill, 6-7 minutes on each side. Place the cheddar cheese on at the last minute so it melts. 4. Assembly time! 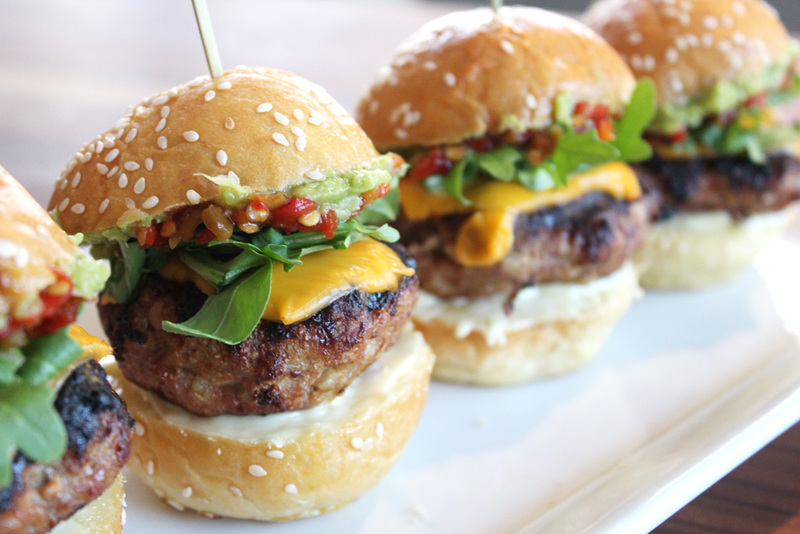 Spread the avocado mayo on the bottom bun, followed by the turkey burger, and some arugula. 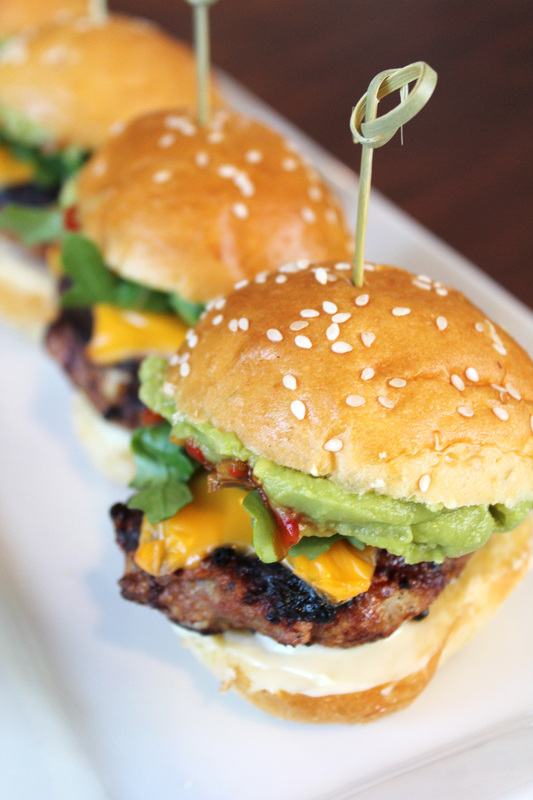 On the top bun, lather on the avocado and hot pepper relish. We kept ours together with our bamboo knot picks from World Market!